Summertime is nearing, so you've got no more excuses for not going outside to get some physical activity. Outdoor activity is a great way to put the fun into fitness -- but it requires paying special attention to hydration. 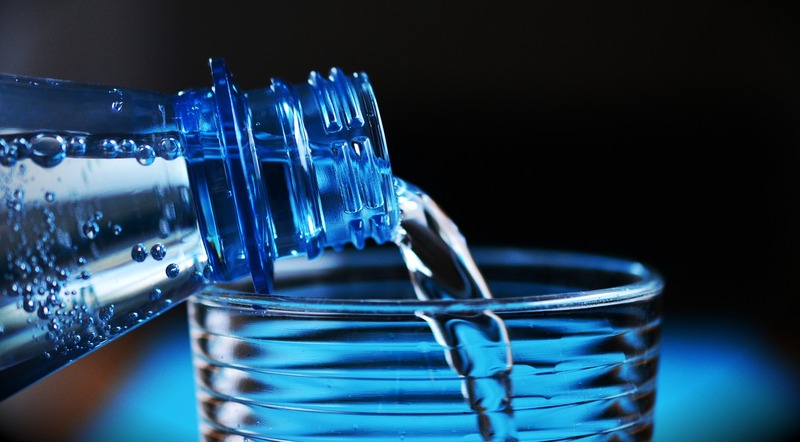 Our bodies are made up of more than half water and we use it for pretty much every bodily function — from regulating body temperature to removing waste to lubricating joints to carrying oxygen to the cells. That’s why you feel so fatigued, dizzy and moody when you’re dehydrated. Don't rely on thirst alone to tell you how much you need to drink. To keep those muscles working and avoid fatigue; it's extremely important to drink plenty of liquids before, during, and after activity. A good guideline to use when preparing for an outdoor workout, whether it's walking, running, biking, or tennis, is to drink about two cups of fluid two hours before the activity. That helps make sure you are well-hydrated before you even go outdoors. Then, during the activity, try to sip some water every 15-20 minutes to keep your muscles well-hydrated. If you are planning an hour-long walk or gym workout, fill a water bottle and take it with you. Last, drink up after you're finished with your exercise to rehydrate the body. Have you ever experienced pain originating from your buttocks, which then radiates down to the back of your thigh to your knees? Then, you might be suffering from sciatic pain or sciatica. Sciatica is usually felt in just one leg with intensities varying from continuous burning pain to dull, intermittent pain. The sciatic nerve is one of the largest nerves in the human body and sciatica is the result of pressure on that nerve. This condition comes as a result of various causes. Sometimes, it is caused by poor posture or muscle strain. If you are pregnant or obese, the risk of getting sciatica can become high. Even wearing high heels for an extended period of time or sleeping on a bed that is too soft can cause this pain. There are also people whose risk of succumbing to sciatica is high. This includes people whose work involves heavy lifting, extended periods of sitting or twisting. Older people are also more likely to get sciatica as compared to their younger counterparts. If you have diabetes, you are more prone to getting sciatica as the disease is known to increase the risk for nerve damage. Osteoarthritis can also cause sciatica. Persons with osteoarthritis have burn spurs which can put pressure on nerves. In rare instances, sciatic pain may be caused by meningitis or spinal cord tumours. The best way to confirm whether you have sciatica or another condition is to consult a medical professional. Your doctor will run a series of tests including testing for reflexes, muscle strength and sensation, and coordination. It is also possible that your doctor will ask you to lift your leg in a 60-degree angle without bending your knee to allow him to locate the origin of the pain. Some doctors may request you to undergo an X-ray, CAT scan or an MRI. Once your doctor determines that you indeed have sciatica, he may prescribe you with muscle relaxants, anti-inflammatory drugs and pain relievers to help reduce inflammation as well as pain. Once the pain has gone down to a minimal level, a combination of exercise and massage therapy can help. In addition to this, you can implement a few changes that will help you cope better with this condition. This includes sleeping on a firm mattress, either on your side or back. Putting a pillow either between your knees or under them will allow you to deal with the pain better as you try to sleep. Experts caution against sleeping on one’s stomach. If you work in an office, keep both feet firmly on the ground when sitting. Also, find a chair with adequate back support. A lot of injuries these days are caused by engaging in sports. While such physical activities serve as great forms of a workout to stay fit, the impact and intensity of certain movements can knock the body out of balance and result in a painful injury. Most sports injuries take a really long time to heal, and even after the usual invasive treatments like surgeries have been properly performed, there are still other treatments required to restore the injured body part back to full health. Sports injuries vary in gravity, but regardless of whether it is just a regular sprain or an ACL injury, therapy is greatly recommended for full recovery. When a body part is injured, naturally it can only perform a very limited range of movements so as not to aggravate the pain and worsen the swelling. Because of this, the flexibility of the muscles and joints are compromised and if you want to get back in the “game, you’re going to have to restore that lost flexibility. There are different types of therapeutic treatments to address pain and flexibility issues. You have acupuncture, which basically helps in promoting wellness by getting rid of the blockages in the energy channels or meridians that inhibit complete healing. This ancient Chinese medical practice is quite effective as well for tension release and other bodily pains caused by a particular illness or even stress. Quite similar to acupuncture is acupressure, but instead of using needles to treat the blocked meridians, the hands and fingers are used. It’s not too different from a massage as well but it really focuses on the Chinese principles of balance restoration to promote better health, healing and complete recovery; it’s even known to get rid of toxins in the body. All the kneading may be a little painful at first, but most of the time, the relief from internal pains caused by the injury is automatically felt after the session. And then there’s sports massage; this is used both for injury prevention and treatment for sprainsand strains. As a therapeutic treatment for a sports injury, it can relieve swelling and pain, encourage better muscle tissue healing, and gradually increase flexibility so a wide range of movements can be performed more naturally again. Lastly, there’s myotherapy which complements the benefits of sports massage. This is usually composed of myofascial release, trigger point therapy, cupping and dry needling. It’s like a combination of three aforementioned treatments and more, and that’s why it is highly recommended for athletes recovering from severe injuries or really just for chi restoration to promote the health of joints, nerves, and muscles to maintain a high level of physical performance. All of these are effective, but do consult a licensed therapist first before deciding which one of these suits your physical needs best.